Hey guys today i am going to show you the trick to solve this problem which causes too much headache to all samsung monitor users. It does not need a repair. You dont have to spend a penny even. According to me this problem is mainly caused due to humidity in the atmosphere so try to change the location of your monitor in such a place where humidity is not the problem. 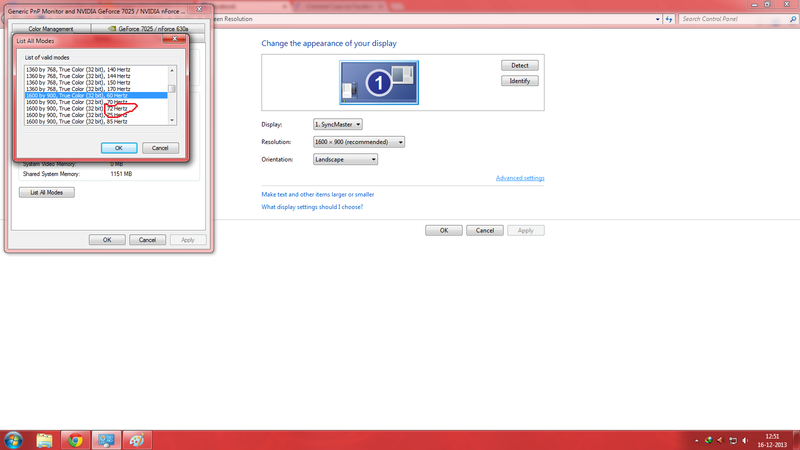 STEP 1: Right click on empty space of your desktop and select SCREEN RESOLUTION. STEP 2: Select ADVANCE SETTINGS. STEP 3: Click on List all modes. STEP 5: Click OK . THAT's it . you are done . Now Enjoy. You can also watch the complete video tutorial on how to get rid of this problem. I followed the steps mentioned and it so happens that the refresh rate is already the highest for my monitor recommended resolution wise. 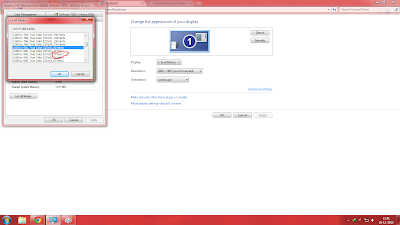 Tried higher refresh rate at different resolutions. No positive results. Any other suggestion? Then Try Somewhat Lower Refresh rate at different resolutions. OR Your Hardware might have been damaged. SO get it Repaired. Probably You are Right. But Some models get easily repaired by this method. 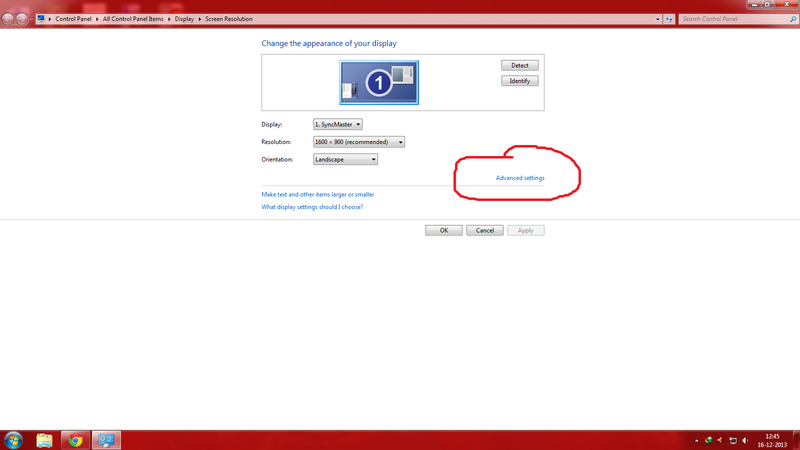 Check your Monitor with other PC. 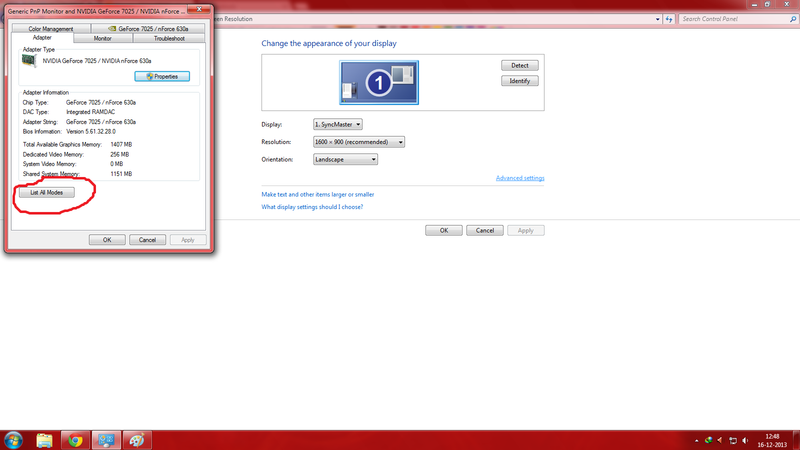 If your Monitor is working fine then your graphics card is corrupted and you have to buy a new one. " I also purchased a new one and my problem is solved now"